Matt has been working in the health and fitness industry for over 7 years. He is committed to understanding every client as an individual, developing a support system, and applying his expertise to make sure his clients feel any goal is attainable. 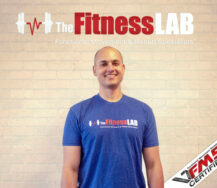 Because of his personal journey, Matt is passionate about helping his clients exceed their wellness and fitness goals. Matt is dedicated to continued education and is energized by the opportunity to share his knowledge in a way that meets the needs of his clients. A competitive athlete since childhood, playing golf, football and basketball provided access to coaches, training, and a structured approach to fitness. At age 14, Matt found himself surrounded by a team of physicians after being tackled headfirst on the football field. A team of emergency neurologists and orthopedic surgeons came together to make a decision in less than 48 hours on how to save Matt’s leg. It was then that Matt learned that he could function as an athlete but not to the same extent as his childhood dreams. At the University of Colorado, Boulder, Matt studied psychology and slowly came back to sports; playing on several intramural teams. It was after college that Matt was introduced to powerlifting by a friend. The aspects of science that fueled a good workout and optimum training compelled Matt to compete in powerlifting competitions with record-breaking success. Reinvigorated by a rehabilitation of both mind and body was illuminating and led him to move from being a functional athlete to a much healthier whole being. He found the changes he made in the gym could be felt in many aspects of his life. This drove his desire to understand the role that mental ability in combination with physical strength plays in performance. Matt enrolled in a Masters program through the University of California, Pennsylvania, and earned a degree in Biomechanics and Exercise Science with a concentration in injury rehabilitation and performance enhancement.